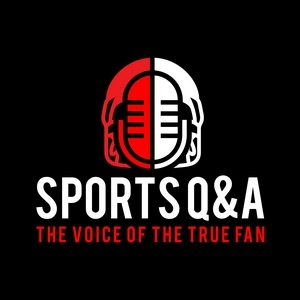 Sports Q&A comes to you as the “Voice of the True Fan” sharing our thoughts and opinions on everything in sports, society and the culture. What is the fallout of the Thunder/Blazer series? Are these franchises trending in the opposite directions? Can Russ win in OKC...do they need a coaching change? What are the keys to the Toronto vs. Philly series? What are the keys to the Celtics vs. Bucks series? What players will tumble in value....Will Arizona take Murray #1....should team stay put or trade down......which Devin will be the better pro....which player invited to the Green Room will make it to Day 2?? The AAF seems to be in trouble, what can be done to make this league sustainable for the future. Would you rather be a deep bench player for a blue blood CBB programs or star at a HBCU? A full recap of Week 1 of the NCAA tourney plus our picks for the Final 4. Whats the root of the Detroit Pistons resurgence? Is this the year MSU finally lives up to expectation, what will keep Michigan from making the second weekend? Zion and Duke would you sit your son? Regular season vs tournament title which is more valuable? Alliance of American football have you watched your thoughts, will it survive? NFL free agency Detroit Patriots are they making a calculated gamble by bringing in former Patriots? Is it better to go all in or be conservative in free agency? The Early NCAA football Signing Day was this week that added a new level of intrigue to the process, but who benefits more the players or the school? A number of top notch NFL caliber players have opted out of Bowl games; is this a good or bad move? Is tanking in the NFL possible and would players actually go for it? How far will the reckless fans go in the NBA...will the league step in to protect players and potentially fans? What’s on your Christmas List for your favorite teams...will you get it under your tree this year or in a decade? Did the CFB Playoff Committee get it right? What will be Urban Myer’s legacy? McCarthy firing, was it premature or a long time coming? Who should replace him? Can a young coach handle Rodgers? Will they NFL ever get it right regarding player off the field issues? What do you think about KD saying LeBron having groupies in the media and that the environment is toxic. We explore the new NBA Free Agency/Trade Model and will it be the future of the league. It’s Rivalry Week in College Football and explore how much of a swing the rivalry can make in these games. Both Q&A discuss what they are thankful for this year in the sports world. In this edition of the Sports Q&A podcast we discussed: Mychal Kendricks was trying to make money moves under the table and it cost him big time. Inside trading made him 1.2 million but cost him his job with the Cleveland Browns and could cost him his freedom. Was it worth it? Aaron Rodgers gets PAID Is it long past overdue that the best QB in the league be the highest paid one? NBA Hall of Fame debate: Who gets in who doesn't? If you had a vote would Robert Horry, Joe Johnson, Dwight Howard & Ben Wallace get in or nah? College football is back What are you most excited about. Did Al just call who overrated? What is up with all of these teams with quarterback issues? Plus our weekly picks. What is your "Game of the week?" 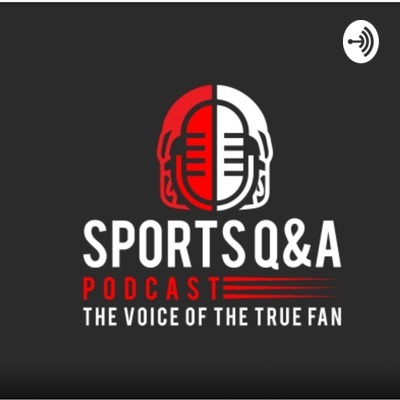 The return of Sports Q&A After an extended hiatus, Sports Q&A returned to talk about the hottest news in the sports world today. On the podcast, we discussed Jacksonville Jaguars' cornerback Jalen Ramsey was going in on NFL quarterbacks. Was he wrong? Why did the wife of one quarterback he mentioned feel compelled to take to Twitter to response? What is going on with the NFL? They are still trying to make this about protesting a flag when there are far greater issues at hand? Is Allan still not watching and what does Quinne think about it now? "They're your shoes, but you can't keep them." In the wake of sneaker-gate at UNC-Chapel Hill did the NCAA find another reason to look foolish? "Scandals in the BIG TEN." Could the old-school way of coaching cost an up and coming coach his job? Do you think Urban Meyer is at fault? Why did OSU fire Zach Smith if he did nothing wrong? We had journalist, philanthropist & Prince of the D, Branden Hunter on to discuss how his work in Detroit.